The Paschal greeting is an Easter custom among many churches, including Pender UMC. Instead of “hello” or its equivalent, one is to greet another person with “Christ is Risen!”, and the response is “He is Risen Indeed!” (Matthew 27:64, Matthew 28:6–7, Mark 16:6, Luke 24:6, Luke 24:34). The week before Easter, known as Holy Week, is very special in the Christian tradition. 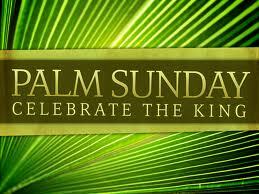 The Sunday before Easter is Palm Sunday. The last three days before Easter are Holy (Maundy) Thursday, Good Friday and Holy Saturday. Palm Sunday, Maundy Thursday and Good Friday respectively commemorate Jesus’ entry in Jerusalem, the Last Supper and the Crucifixion. Maundy Thursday, Good Friday, and Holy Saturday are sometimes referred to as the Easter Triduum (Latin for “Three Days”). In some countries, Easter lasts two days, with the second called “Easter Monday”. The week beginning with Easter Sunday is called Easter Week or the Octave of Easter, and each day is prefaced with “Easter”, e.g. Easter Monday, Easter Tuesday, etc. Easter Saturday is therefore the Saturday after Easter Sunday. The day before Easter is properly called Holy Saturday. Eastertide, the season of Easter, begins on Easter Sunday and lasts until the day of Pentecost, seven weeks later. Contemporary worship is led by our praise band in a rock-and-roll style with many contemporary Christian songs that you might hear on the radio. Pastor Dan delivers the message, often enhanced with video or drama. Our contemporary worship services are more casual in nature, so wear your jeans or shorts if you want to, Pastor Dan does! Come for this Easter’s Traditional Worship to experience special music (Handel’s Hallelujah Chorus) and a special message brought by Pastor Kenny. We All Gonna Rise – I Corinthians 15:20-28 ; Mark 16:1-8 Easter isn’t just a celebration. It’s a reminder of a coming action. Because Christ was raised you and me are gonna be raised. That’s right Easter isn’t just Christ’s story its also OUR story! Let’s celebrate this Sunday! Come for this Easter’s Contemporary Worship to experience great rock-style music and a special message brought by Pastor Kevin. Our contemporary worship service is called “Common Ground” and is offered at 9:30 every Sunday, including Easter! 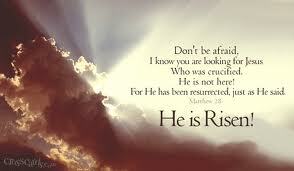 We All Gonna Rise – I Corinthians 15:20-28 ; Mark 16:1-8 Easter isn’t just a celebration. It’s a reminder of a coming action. Because Christ was raised you and me are gonna be raised. That’s right Easter isn’t just Christ’s story its also OUR story! Let’s celebrate this Sunday! 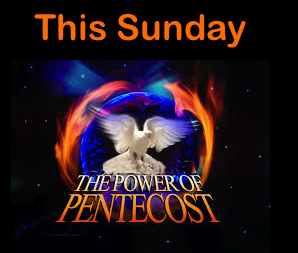 Pentecost is a Christian holy day that celebrates the coming of the Holy Spirit 40 days after Easter. Some Christian denominations consider it the birthday of the Christian church and celebrate it as such. Originally, Pentecost was a Jewish holiday held 50 days after Passover. One of three major feasts during the Jewish year, it celebrated Thanksgiving for harvested crops. However, Pentecost for Christians means something far different. And 40 days after Jesus was resurrected (10 days after he ascended into heaven), that promise was fulfilled when Peter and the early Church were in Jerusalem for Pentecost. We belive in the Holy Spirit, the 3rd person of the Trinity who came on Pentecost and began the church. What does the Holy Spirit do today? How does the Holy Spirit get and find Power? Seen any symbols of fire around your sanctuary? Do you know what’s the second most important day of the Christian year? Chuck messes with candles again and explains Pentecost. Contemporary worship is led by our praise band in a rock-and-roll style with many contemporary Christian songs that you might hear on the radio. Rev Kev delivers the message, often enhanced with video or drama. Our contemporary worship services are more casual in nature, so wear your jeans or shorts if you want to, Rev Kev does! Come for this Easter’s Contemporary Worship to experience great rock-style music and a special message brought by Pastor Kevin. Our contemporary worship service is called “Common Ground” and is offered at 9:30 every Sunday, including Easter! Why does the celebration of the Transfiguration take place just before Lent in United Methodist and other denominations that follow The Revised Common Lectionary? We celebrate the revelation of Christ’s glory “before the passion” so that we may “be strengthened to bear our cross and be changed into his likeness.” The focus of the Lenten season is renewed discipline in walking in the way of the cross and rediscovery of the baptismal renunciation of evil and sin and our daily adherence to Christ. At Easter, which reveals the fullness of Christ’s glory (foreshadowed in the Transfiguration), Christians give themselves anew to the gospel at the Easter Vigil where they share the dying and rising of Christ. In the biblical context, the synoptic gospels narrate the Transfiguration as a bridge between Jesus’ public ministry and his passion. From the time of the Transfiguration, Jesus sets his face to go to Jerusalem and the cross. The Transfiguration of Jesus is an event reported by the Synoptic Gospels in which Jesus is transfigured upon a mountain. Why is this event lifted up and celebrated? Chuck will tell you.